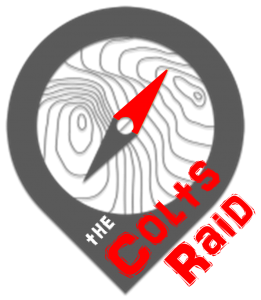 A quick wrap up on the first ever Colts Raid and Scatter Raid races. 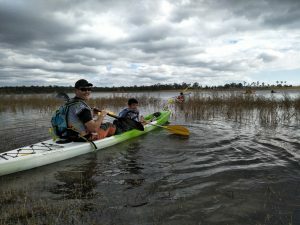 In a first for this event format, teams were set with the challenge of picking up as many check points as possible over 3 hours of racing mountain bikes, kayaks, running and a surprise swimming leg. With 37 check points spread over 7 legs, strategy was always going to play a massive role in the final results, along with raw speed. In a move to encourage youth participation in Adventure Racing the Colts Raid race was set up to be a low barrier entry into the sport providing a safe, readily accessible, low equipment requirement event with just the right amount of challenge. I’ve previously written about the ageing population problem of Australian adventure racing, and the success of youth AR models in countries like NZ. The Colts Raid represented an experiment of sorts as to what format can help grow the sport from the ground up. With low entry numbers relative to our other Raid races, I’d still rate it as a highly successful and well received event. 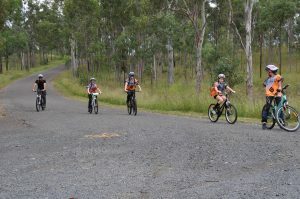 It was great to see the largest demographic represented were kids aged 6 to 16 racing with a parent or guardian – essentially a “family” category. Team Green White Black Raiders. But onto the results for the Colts Raid. Overall winners were team Green White and Black Raiders: 14 year old’s Gus and Nick took a handy win despite a late penalty when they bit of more than they could chew chasing down one more check point via a swim leg. 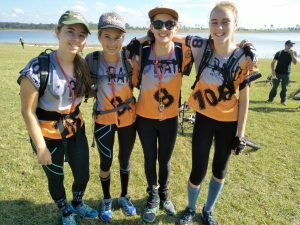 Results across the rest of the field were very tight with an all female team of four 15-16 year olds taking out second place overall and team GENS winning the mixed category. I’m looking forward to seeing how these young AR stars in the making go over future Raid races. Full results can be found over at the Raid Adventures website HERE. Team Wild Earth / Tiger. With the Colts race underway, it was time for the big kids to come out and play. Team Wild Earth / Tiger put in a dominating display for the overall win and announcing their intentions for a competitive result at the upcoming Rogue Raid 24 hour race. 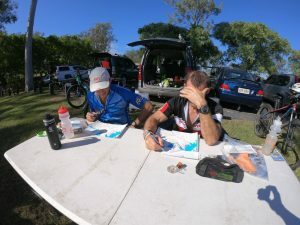 As an organiser, it was interesting to see that Gary and Russ spent more time than any other team in their route planning and timings for each stage. They then went on to collect only 5 of the 7 check points on the first running stage (whereas most of the other quicker competitors opted to get all 7), which proved to be a winning strategy. As with the Colts Raid, results were very tight throughout the field despite the different leg strategies employed. Winning the all female category and in third place overall were Tri Adventure Vintage with team Pea’s and Carrots winning the mixed. In another first, the Scatter Raid course was opened to solo competitors. Paul Elby edged out Dylan Magee to win the solo division, taking second place overall with Wendy West the first solo female home. Another interesting statistic is that all but one of our solo competitors were in the veteran category: I’m not sure what to read into that! A full selection of photos from the Colts Raid and Scatter Raid races can be found HERE. A big thank you to our race volunteers Adam, Michelle, Michele, Jordan, Grant and Samantha for helping the day run so smoothly. With the adventure racing season well underway, it’s now time to turn our attention to the Rogue Raid. 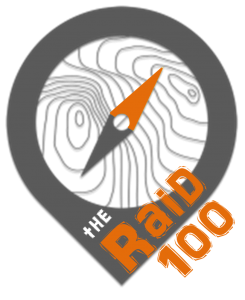 The biggest and longest running race in the Raid calendar, the Rogue offers up a whole new level of challenge. And finally, early bird entries are about to close for the biggest one off rogaine to hit QLD: the Australasian Rogaine Champs – this is one not to be missed.